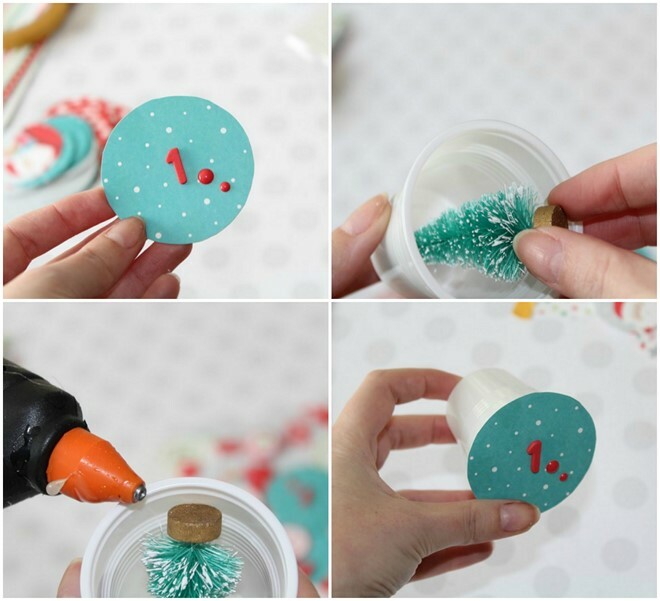 Just one week till 1st of December we offer you some very special tutorials for 6 creative and unusual DIY advent calendar ideas. 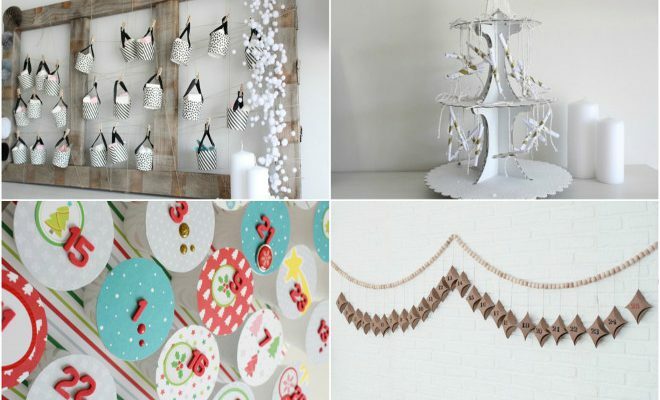 If you are a fan of Christmas crafts but you are running late with the advent calendar crafting, these six easy-to-make and inexpensive ideas will come in useful to you. The Scandinavian style is characterized by its simple design and natural touch. 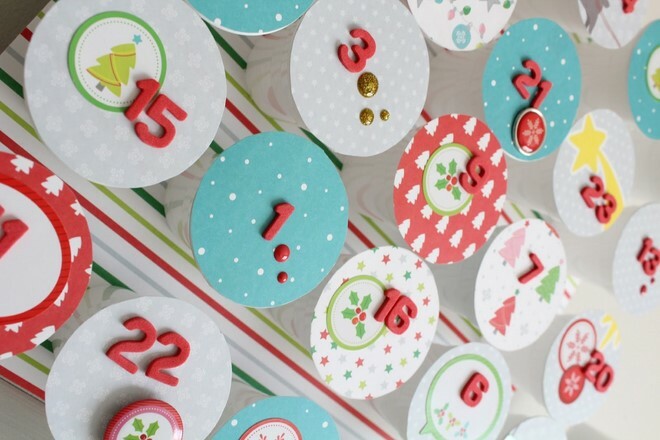 To create this advent calendar you need following supplies: Muffin paper cups, black ribbon and mini wooden pegs. 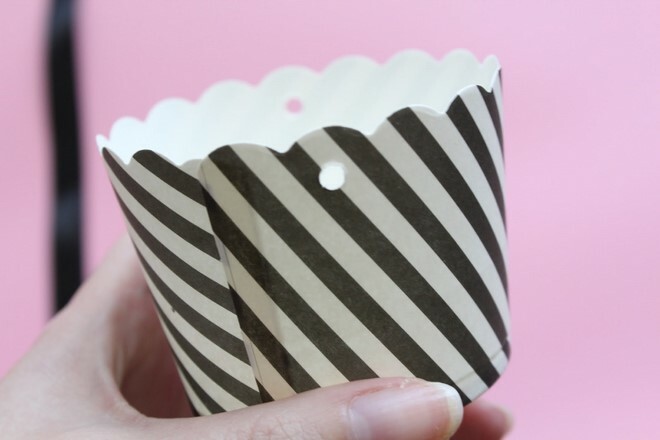 First, transform the paper cups into cute baskets, as shown below. 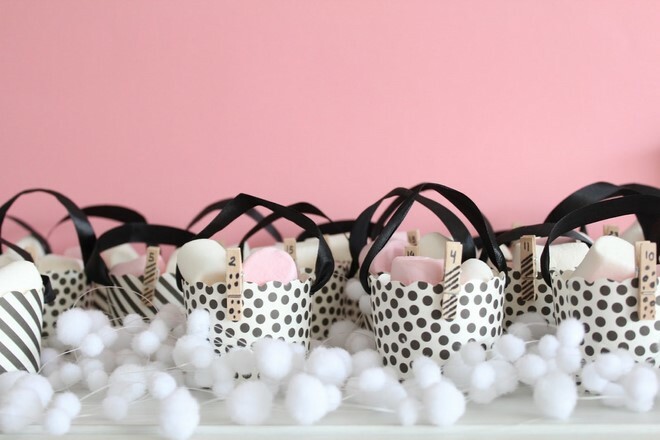 Then, using a marker write a number from 1 to 25 on each wooden peg and clip it on a cup. 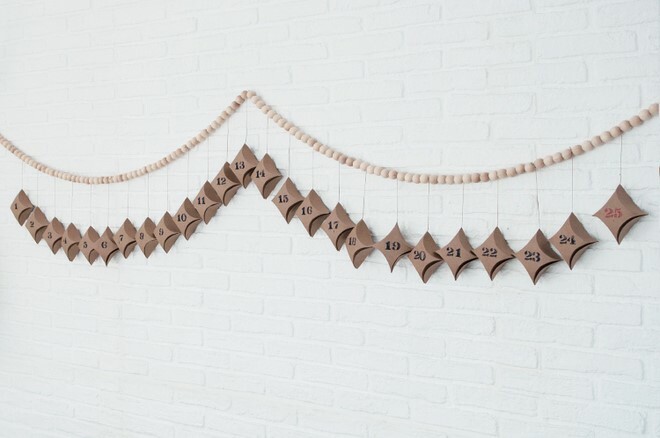 This is definitely an unusual but simple idea for a xmas advent calendar. 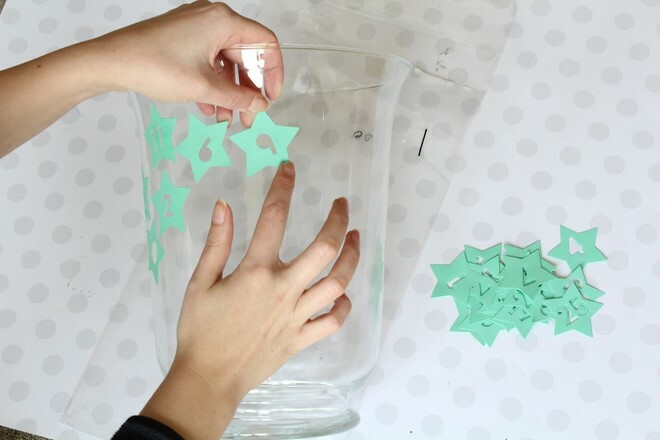 The used materials are: a clear glass vase (this one is from Ikea, model Pomp), number stencils or stickers, spray snow and removable spray adhesive, chocolates or small toys, craft paper and double-sided tape. 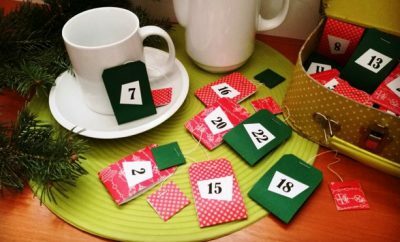 This advent calendar is great for work or study groups. 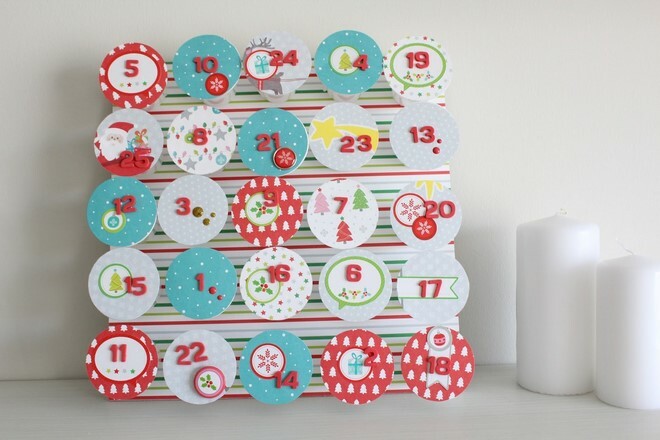 It is about creating an advent calendar among the whole group with motivational phrases, so that the days till Christmas go by fast and better. 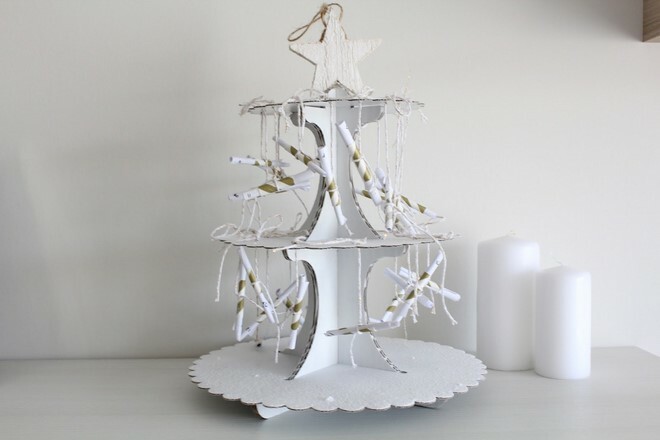 The used materials are: a cardboard cupcake stand, paper, twine, white spray paint and snow spray. 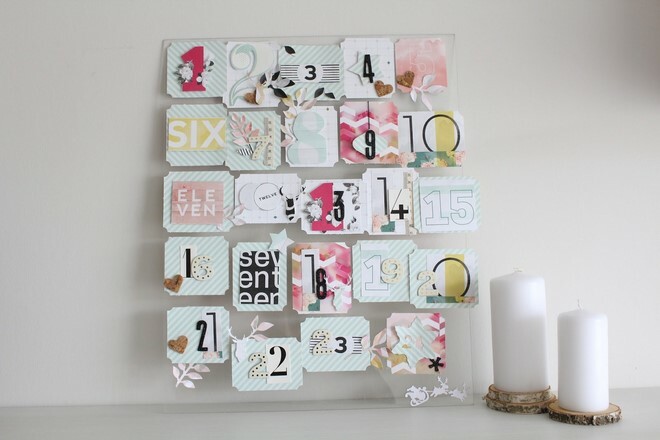 If you are a fan of scrapbooking, then you are going to love this advent calendar design. 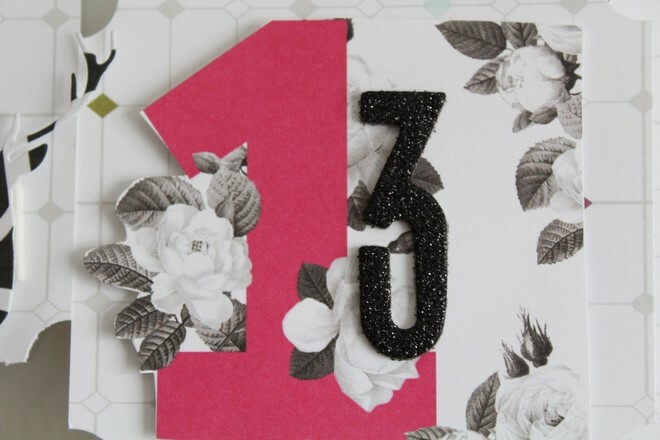 The materials used are: scrapbooking paper from the Pink Paislee c’est la vie collection, double-sided tape and number stickers. The 25 cards are glued on a transparent methacrylate sheet. 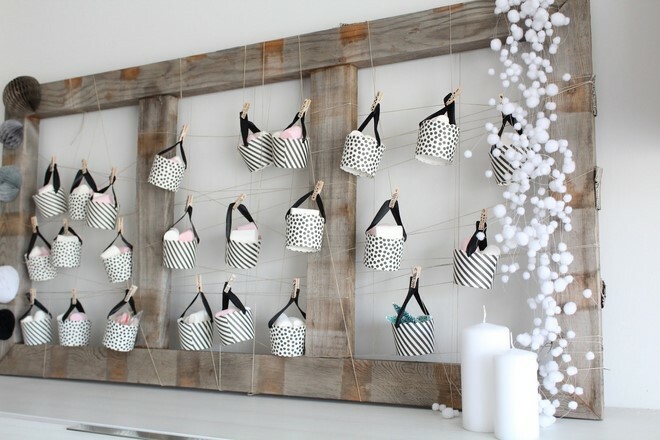 What do you think of these advent calendar ideas? What style do you prefer? Traditional, modern or nordic? 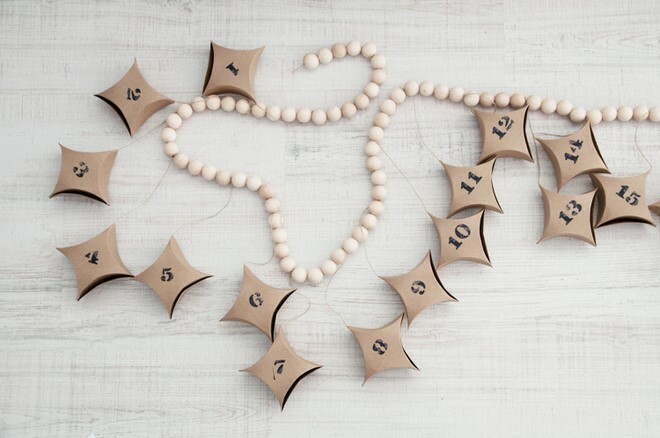 This one is a very simple and decorative calendar. As you know, inside the boxes you can put whatever you like. 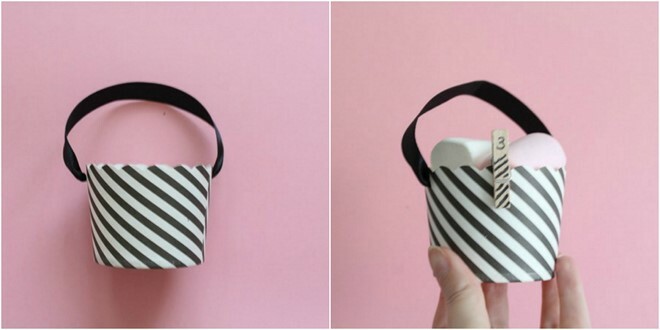 The most typical things are sweets, beauty products, small gifts etc. 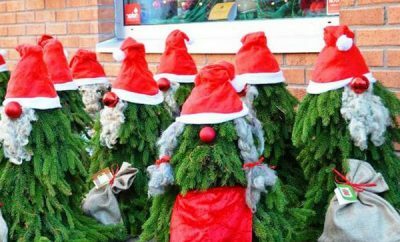 However, this year you can opt for something more sentimental. Ask your boyfriend to put two pieces of paper in each box. One for you and one for him. Day by day, we can 25 things that you like about each other. It seems like a good idea to remind yourself why you love each other so much. 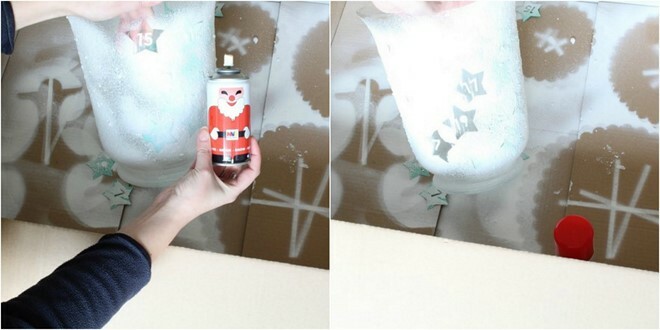 And the best thing about this DIY is that it can be totally personalized! 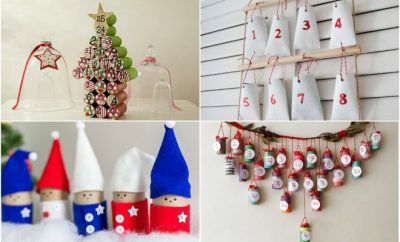 If you like this Scandinavian advent calendar and would like to make an equal one for your home, do not miss the next step by step tutorial. – rubber stamps with numbers + black and red ink (from the craft store). 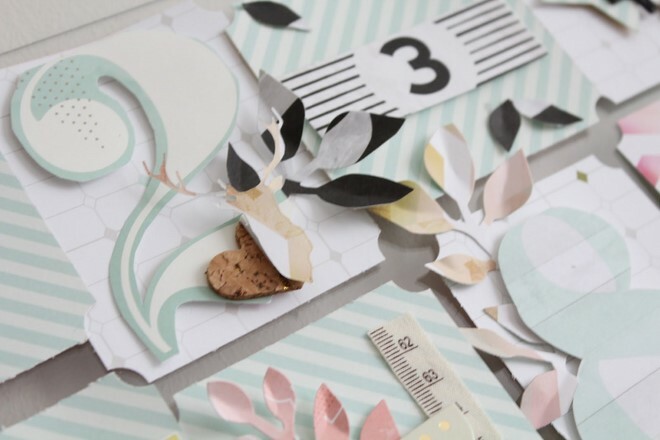 You can also write the numbers by hand or use stickers, templates etc. Stamp the numbers so that one of the box peaks shows downwards, as can you see on the photo. For all boxes from 1 to 24 use black ink. On the 25th mark Christmas day with red ink. 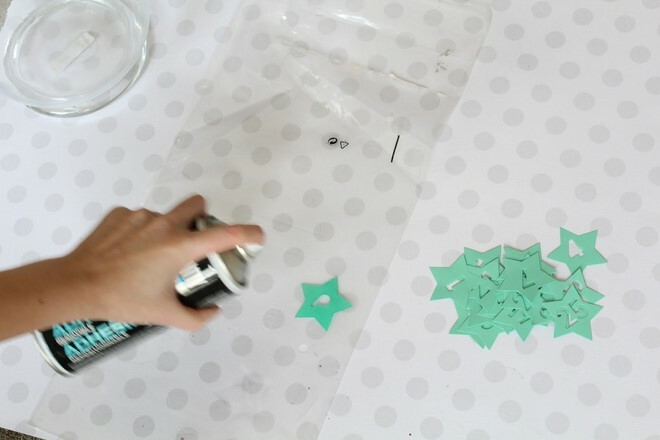 Fold the box as shown in this video and repeat with all the boxes for the advent calendar. Cut a piece of string (about 30 cm or 12 inches) and make a thick knot near one end. Put that end by the upper “point” of the box. 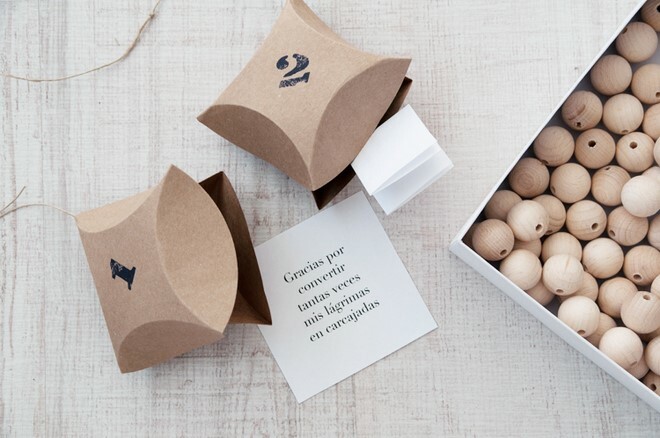 Put the messages or gifts that you have chosen in the boxes. Close the box according to the assembly video, the string should stay at the top peak. Inside the box, the knot will preventing the rope from escaping, if we pull it. Cut a much longer piece of string. 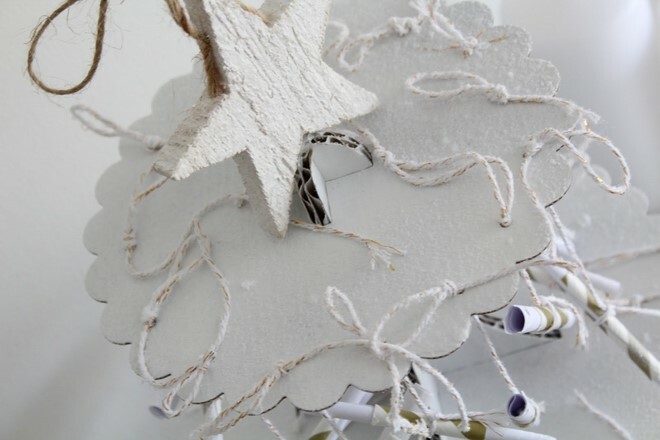 Taking into account the length of garland that best suits for the room where you are going to place the calendar. 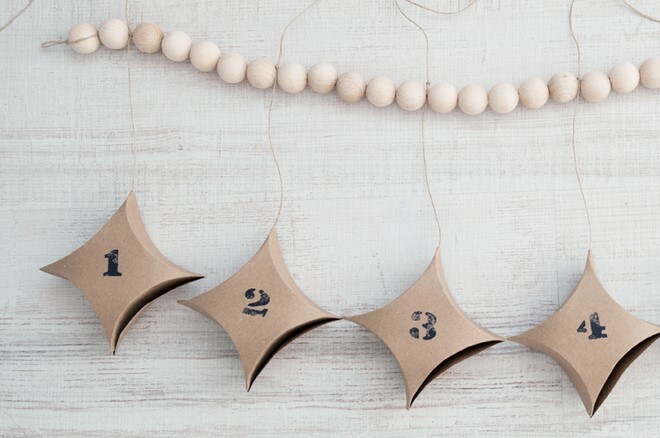 Make a double knot at one end leaving a small “loop” that will serve to hang the garland to the wall. 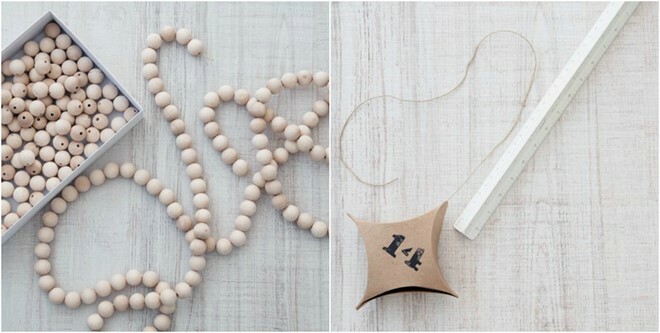 Start stringing the wooden beads until you reach the chosen length. Make a double knot with a “loop” at the other end of the garland. 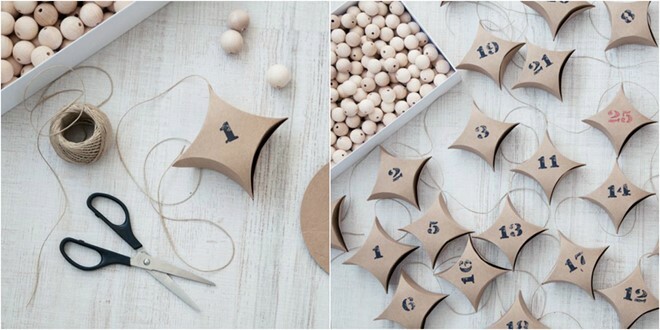 Attach the boxes to the garland, make a knot always at the same distance. In this example they are at 13 cm, but this can vary according to the dimensions of your calendar. Ensure that all the boxes hang at the same height. 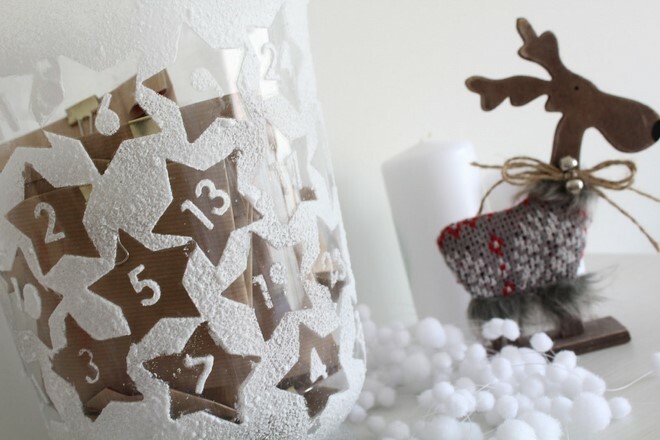 Get our advent calendar ready to give you wonderful surprises every morning until Christmas day!